Search engine optimization or SEO is growing so fast day by day. According to a survey, US spend more than $65B in 2017. Yes, 65 Billion and prediction are that it will be near 80 Billion dollars by the year 2018. Since Seo is becoming more complicated so we need to monetize our website from every single aspect. We need SEO tools for monitoring all those activities of our website and rank it better on Google. There are hundreds of SEO tools out there but in this article, I’ll show you some of the most important tools which actually used by SEO experts. Also, most of the SEO firm use these tools. In this huge competition, we must use advance way to be on the top. In this Infographic you can see Top 10 SEO tools and Benefits. After it I have described every Tool. Google keywords tool is newly named as google keyword planner. The most important of Google Keyword planner is it is free, Only paid you to create any campaign. Google-adword-planner, It is one of the best tools to do keyword research. You can post Ads on Google by creating an Ad campaign. Just search any keyword and you will get hundreds of related result. As per the keyword search volume, Competition, Bids you can choose best keywords for your website and get thousands of CTR on your website. You can also filter the search by location language country etc. it is very effective tools you must have to use it if you are doing SEO. But there are several free keyword research tools you can use those are very effective and most importantly they are free. Hugely popular among SEO experts. You can do multiple jobs with it. You can’t expect how many data they are providing. 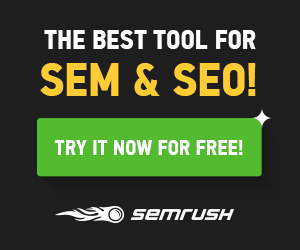 Their data is so accurate that 100% of SEO firm use this awesome tool. It has a free trial version you can register yourself and take a look at it. And many More. That’s why SEO guys love these tools so much. You must try this tool to monitories your website and online reputation. Open site explorer is the very important tool in SEO. It is a tool of Moz (the Big Boss of SEO). So, Must use this awesome tool. It has 3 free trials every day. After it is paid. Very useful tool. The most beautiful part of this tool is you can use it as add-ons. Install on chrome webs store. Well, this is one of the favorite tools of mine. And also hugely important for SEO. I can’t cover all the features of these sites. But one thing I can say, It offers combine of many tools. If you want a single tool, that can cover all your website activities, then I can tell you go for Ahref. This is one of my favorite tools. You have fewer budgets and you want an efficient tool then go for Seo Profiler. Must Use this tool. The free version can also give you many features. Once again when it comes to Google they offer the best services on free of cost. Your website must have connected to Google Search Console. It monitories your website on a high level. Index your website URL within few Second. Monitories Websites Structure Data, Rich Data, HTML Improvement etc. And Many More. It is the best tool in its area. So, my recommendation to you, you must have connected your website with Google Search Console or webmaster. **Just open your Gmail account and connect it to your hosting site and you can use webmaster code to verify you are the owner of the site. Once again it’s Google. So, I do not need any description of it. It is one of the must-have tools on your websites daily life. Just open Google analytics and connect it to your Gmail account. Paste their script code in your site. Now click verify they will add your website to google analytics. And many More. It is one my favorite tools. Every Single SEO expert uses it in every single hour. You just need to connect your website with Google Analytics. Now it is the very interesting tool you should use to get huge traffic. Using this site you can monetize what is people looking at on Google or in a simple language what is trending matters. You can categories those topic and put on your blog and you will get huge traffic. And Many More. Just type your keyword and analyze its popularity. Must use tools for Bloggers. Rank tracker is not a web tool, its software. Just install this software and linked it to your Adword account, you can do very efficient keyword research. Also very useful for monitoring your website. You can monitors your keywords rank on Google. It’s a paid tool but you can use it as a free but you can’t export the file. You can only take a visual look but can’t export your file as a pdf or csv. There are many SEO tools available there in the web world. Here I’m telling you some of the examples. Example: Keywordtool.io, Screaming Frog, WordStream, BrokenLinkCheck, Copyscape.com etc. But Abobe 10 tools are the best in my point of view. You do not need any other tools if you have a couple of tools from these. The main job to do an SEO for a website can be easily maintained with these tools. You can also check out these tools and analyze your website better.